Since the 1st January 2018, the regional rates of TICPE have increased by almost 8 cents per liter of diesel. As a result, the TICPE refund rate should be around € 175 / m3 for the first half year 2018. 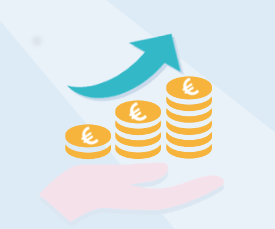 The refund rate for the Belgian excise duties has increased to € 186 /m3 (since January 2018) instead of € 177.4 /m3 for the 4th quarter of 2017.